With the upcoming release of WordPress 5.0, code named Gutenberg, we have been testing this update on different platforms. What is the effect of Gutenberg with Divi? The following will show some of the issues that we encountered. 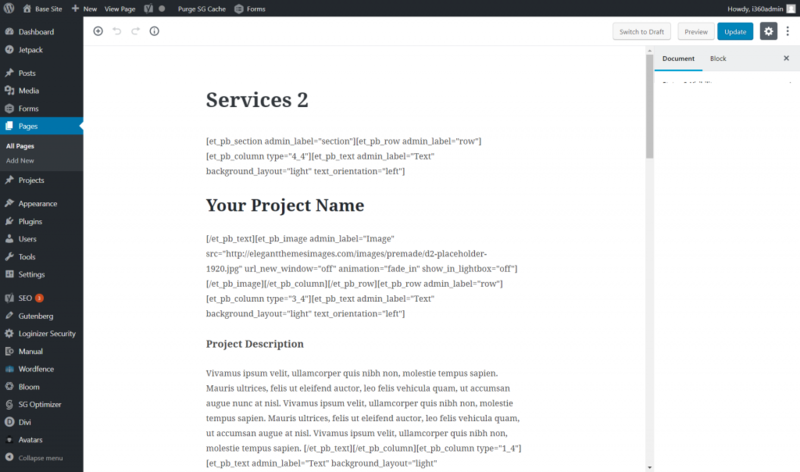 Below is a typical Divi Page with Stylized Sections, Rows and Modules. In the top Admin bar, we now see 3 options for editing the Page. Edit Page with the Pencil icon, Edit (Classic) and Enable Visual Builder. Let’s take a look at what happens with each option. What is all this gobbledogook? Where are my page layout sections? How can I tell what the finished Page is supposed to look like? This does not look like what I had experienced during my training! The documentation my web developer provided does not look like this! I am freaking out! If you are a Divi user, this screen looks more familiar. 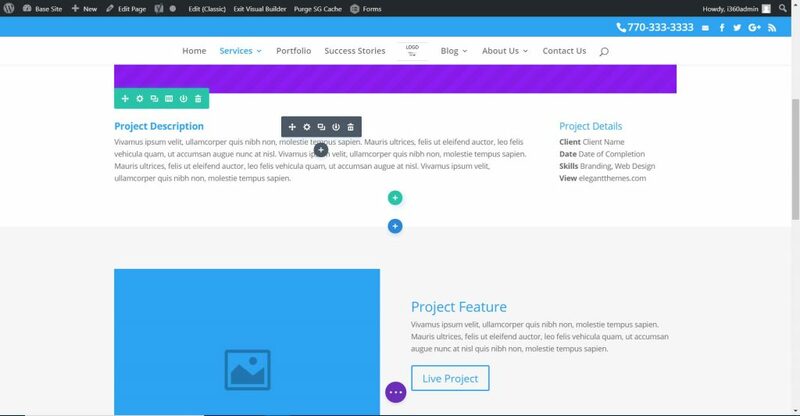 Here, we have The Divi Builder with their Sections, Rows and Modules. Clicking on the 3 line icon activates the Settings for each, along with parameters for stylizing and customizing each page element. This is what a Divi user is used to working with. Phew. 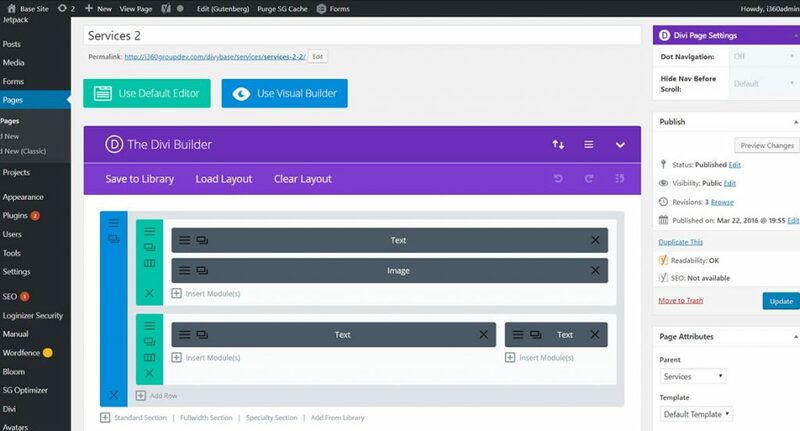 This is also the same experience you will have if you click on the Enable Visual Builder option in the top Admin bar! Hooray! The takeaway here is to make sure that the Classic Editor Plugin is installed and Activated. 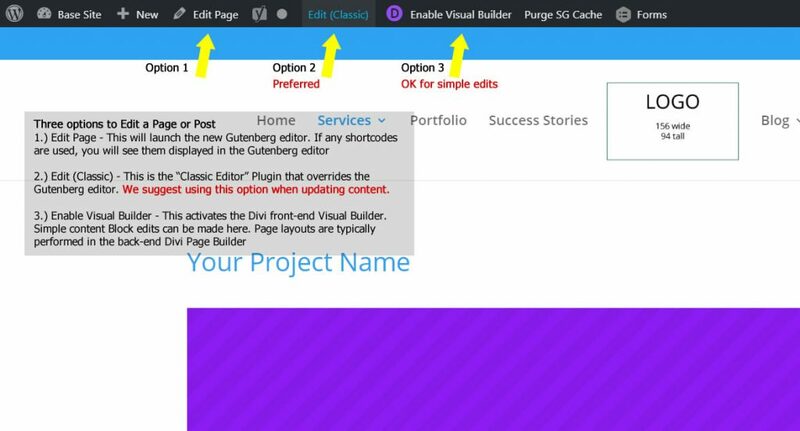 From there, choose either the Edit (Classic) option or Enable Page Builder option when editing a page. If you have any questions as to how the WordPress 5.0 update, code-named Gutenberg will affect your website, contact our helpdesk@i360Group.com, or use our Contact Us form.